Escape the urban bustle at Seventy-Five Mile Beach and Champagne Pools. We've included these beaches for you: Eli Creek and Indian Head. For ratings, traveler tips, maps, and other tourist information, read our Fraser Island trip planner. Nashville, USA to Fraser Island is an approximately 28-hour flight. The time zone difference moving from Central Standard Time to Australian Eastern Standard Time (Queensland) is 16 hours. Traveling from Nashville in June, expect Fraser Island to be slightly colder, temps between 73°F and 54°F. 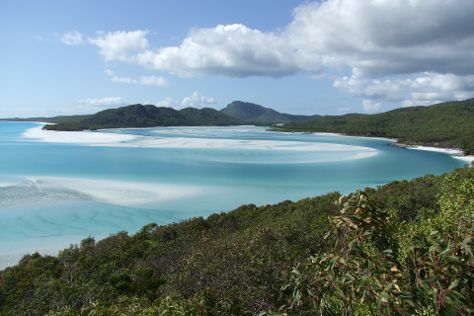 Wrap up your sightseeing on the 7th (Fri) to allow time to travel to Whitsunday Island. Start off your visit on the 8th (Sat): contemplate the waterfront views at Hill Inlet and then kick back and relax at Whitehaven Beach. For where to stay, ratings, other places to visit, and more tourist information, use the Whitsunday Island day trip planning app . Getting from Fraser Island to Whitsunday Island by combination of car, ferry, and flight takes about 10.5 hours. Other options: do a combination of car, ferry, and train; or do a combination of car, ferry, and bus. In June, daily temperatures in Whitsunday Island can reach 76°F, while at night they dip to 56°F. Wrap up your sightseeing on the 8th (Sat) to allow time to take a bus to Airlie Beach. On the 9th (Sun), see some colorful creatures with a scuba or snorkeling tour. On the 10th (Mon), you'll have a packed day of sightseeing: take a memorable tour with Tours. To find more things to do, ratings, reviews, and more tourist information, read our Airlie Beach vacation planner. Traveling by bus from Whitsunday Island to Airlie Beach takes an hour. Alternatively, you can ride a ferry. Traveling from Whitsunday Island in June, you can expect nighttime temperatures to be a bit warmer in Airlie Beach, with lows of 65°F. Finish up your sightseeing early on the 10th (Mon) so you can catcht the bus to Townsville. On the 11th (Tue), see the interesting displays at Maritime Museum of Townsville and then see some colorful creatures with a scuba or snorkeling tour. Get ready for a full day of sightseeing on the next day: head off the coast to Museum of Tropical Queensland, then tour the pleasant surroundings at The Strand, and then hike along Castle Hill. Plan a Townsville trip in moments using our itinerary builder. Traveling by bus from Airlie Beach to Townsville takes 4 hours. Alternatively, you can drive; or do a combination of bus and train. Traveling from Airlie Beach in June, expect nights in Townsville to be little chillier, around 60°F, while days are somewhat warmer, around 78°F. Finish your sightseeing early on the 12th (Wed) to allow enough time to travel to Cairns. Visiting Scuba & Snorkeling and Esplanade Boardwalk will get you outdoors. Go for a jaunt from Cairns to Palm Cove to see Palm Cove Beach about 32 minutes away. Spend the 14th (Fri) wandering through the wild on a nature and wildlife tour. There's more to do: learn about all things military at The Australian Armour & Artillery Museum. For traveler tips, maps, reviews, and other tourist information, read our Cairns vacation planner . Fly from Townsville to Cairns in 3.5 hours. Alternatively, you can drive; or take a bus. Expect a bit warmer evenings in Cairns when traveling from Townsville in June, with lows around 66°F. Finish up your sightseeing early on the 15th (Sat) so you can go by car to Port Douglas. Step out of the city life by going to Scuba & Snorkeling and Wildlife Habitat Port Douglas. Spend the 17th (Mon) spotting exotic species with a safari tour. And it doesn't end there: look for all kinds of wild species at Hartley's Crocodile Adventures, take in the exciting artwork at Des Spencer Galleries, and look for gifts at With Sugar. For maps, other places to visit, reviews, and other tourist information, read our Port Douglas travel route website . You can drive from Cairns to Port Douglas in 1.5 hours. Alternatively, you can take a bus; or take a shuttle. Expect a daytime high around 79°F in June, and nighttime lows around 65°F. Cap off your sightseeing on the 18th (Tue) early enough to travel to Gold Coast. On the 19th (Wed), see the interesting displays at Ripley's Believe It Or Not! 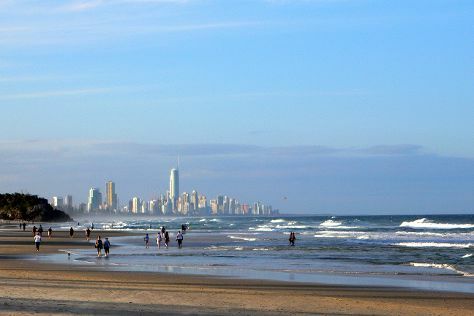 Surfers Paradise, then stroll through Surfers Paradise Beach, and then enjoy the sand and surf at Burleigh Heads Beach. Here are some ideas for day two: look for all kinds of wild species at David Fleay Wildlife Park, tour the pleasant surroundings at Coolangatta Beach, and then tour the pleasant surroundings at Burleigh Head National Park. For maps, other places to visit, traveler tips, and other tourist information, you can read our Gold Coast travel itinerary planner . Do a combination of shuttle and flight from Port Douglas to Gold Coast in 6 hours. Alternatively, you can do a combination of shuttle, flight, and train; or drive. In June, Gold Coast is little chillier than Port Douglas - with highs of 69°F and lows of 53°F. Wrap up your sightseeing on the 20th (Thu) early enough to travel to Sydney. 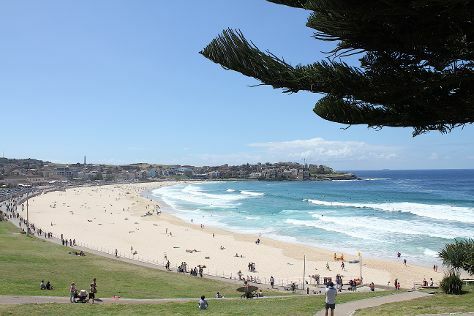 Escape the urban bustle at Bondi Beach and The National Pass. You'll enjoy a bit of beach vacationing at Manly Beach and Clovelly Beach. Venture out of the city with trips to Norman Lindsay Gallery & Museum (in Faulconbridge) and Lincoln's Rock (in Blue Mountains National Park). Spend the 26th (Wed) exploring nature at Sydney Harbour National Park. There's much more to do: listen to music at Sydney Opera House, take a stroll through The Rocks, don't miss a visit to Sydney Harbour Bridge, and admire the natural beauty at Royal Botanic Garden Sydney. To find maps, more things to do, ratings, and tourist information, read Sydney online driving holiday planner . You can fly from Gold Coast to Sydney in 3.5 hours. Alternatively, you can do a combination of train and flight; or drive. Expect a daytime high around 65°F in June, and nighttime lows around 50°F. Wrap up your sightseeing on the 26th (Wed) to allow time to travel back home.